Their Voices Count: Stand with PLHIV on Human Rights Day! Even after more than two decades of a coordinated national response to HIV/AIDS in India, stigma and discrimination towards people living with HIV (PLHIV) remain commonplace. These forces—and the violence and other rights violations that often accompany them—undermine the efforts of the government, civil society, and donors to mount a truly effective response to the epidemic. December 10th is Human Rights Day. It is an opportunity to advocate for the full enjoyment of human rights by all people everywhere. This year’s theme is ‘My Voice Counts.’ For those of us working to address HIV/AIDS, it’s a moment to reflect on progress but also on how much more work remains. Just a few days ago, an incident took place in Jodhpur, Rajasthan that illustrates how far we still need to travel. HIV was first identified in India in 1986. After more than 26 years of rigorous efforts to raise awareness about HIV/AIDS and increase understanding of the disease, our efforts to reduce stigma and discrimination remain inadequate as the Jodhpur case shows. While there are pockets of progress, the majority of the 2.4 million PLHIV in India still live in fear of being harassed, humiliated, stigmatized, beaten, and disowned. The despicable treatment of the couple in Jodhpur was covered by the media, but numerous other such situations go unrecorded. What should our leaders do? What steps are needed to truly address the ignorance and fear that drives neighbors to hurt not help? 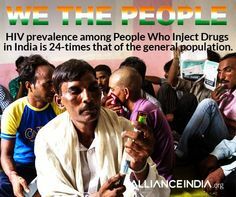 The Supreme Court of India ruled that PLHIV are assured a right to treatment, but why are we so indifferent about protecting the right of PLHIV to lead full and productive lives? The National AIDS Control Organisation (NACO) recognizes the important role that rights protections play in the AIDS response. NACO has a ‘Know Your Rights’ page on its website, but do PLHIV really know what measures they can take to protect themselves when faced with violations of their basic rights? And if they do, what happens when they stand up for themselves? In early November, a group of 70 PLHIV walked into Bihar State AIDS Control Society to demand a meeting. The crowd was angry as there had been an interruption in the supply of antiretroviral drugs in the state. Such gaps can significantly undermine the effectiveness of treatment and lead to drug resistance. The group protested in loud voices, and in the process, a couple of flowerpots were broken. The police were called, and Gyan Ranjan Khatri, president of Bihar Network of People Living with HIV, was arrested. Getting him bailed out was difficult, and locals report that a case may be filed against him. The question remains: How can it be a criminal offence to demand the government protect the basic right of PLHIV to health? If India is to progress towards UNAIDS’ global strategic goal of ‘Getting To Zero,’ then we must recognize that our efforts to achieve ‘Zero Discrimination’ need new energy and focus. Like it or not, HIV still inspires irrational fear. Today, on Human Rights Day, we should ask ourselves what we must to do to protect the rights of PLHIV here in India and all around the world. While there can be many solutions—and many are needed—we must listen to PLHIV. Their voices count. The author of this post, Francis Joseph, is Programme Officer for Alliance India’s Drug Use & Harm Reduction programmes, based in New Delhi. Spanning five countries (China, India, Indonesia, Kenya, and Malaysia), Community Action on Harm Reduction (CAHR) expands harm reduction services to more than 180,000 injecting drug users (IDUs), their partners and children. The programme protects and promotes the rights of these groups by fostering an enabling environment for HIV and harm reduction programming in these five countries. CAHR is supported by the Ministry of Foreign Affairs, Government of Netherlands. 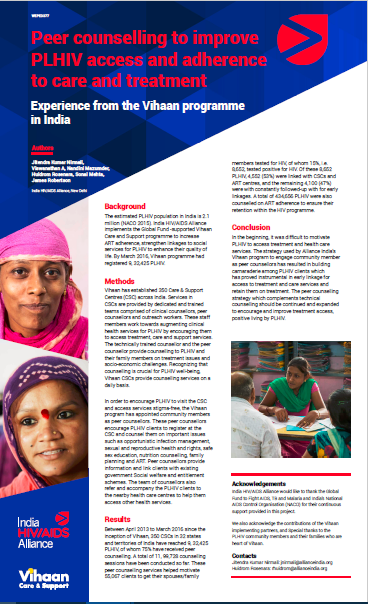 In India, CAHR is called Hridaya and is implemented by Alliance India in partnership with SASO, Sharan, and a number of community-based harm reduction organisations and networks. 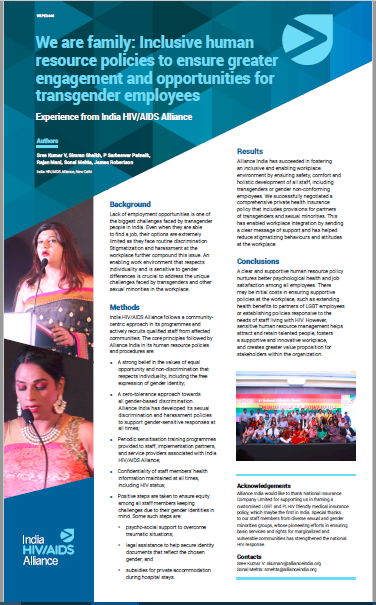 This project helps build the capacity of service providers, makes harm reduction programmes more gender-responsive, improves access to services and advocates for the rights of PWIDs. In addition to providing services, Hridaya has a strong capacity building component to support advocacy, knowledge management and improved services for PWIDs.